New York, NY — President & CEO, Lois Braverman, has announced that she will be stepping down from her position as of August 1, 2018, after 12 years of leadership. Lois Braverman, LCSW, has announced that she will step down from the Ackerman Institute for the Family later this year after 12 years at the helm. The Ackerman Institute’s Board of Directors has retained Phillips Oppenheim search consulting firm to identify candidates to succeed Ms. Braverman. 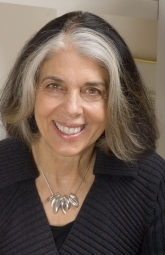 Ms. Braverman, was appointed in 2006 as the Ackerman Institute’s 4th president and first woman to lead the organization. She is a highly regarded educator and clinician with over 40 years of experience in the field. Selling Ackerman Institute’s historic home of 53 years on the Upper East Side and building a new state-of-the-art training and clinical facility in the Flatiron District, and endowing a board-designated fund earmarked to offset the operating expenses of the new facility. Developing new, innovative, clinical research projects that have received national and international recognition. Substantially increasing the number of families served annually in the clinic and increasing the number of therapists trained in the post graduate training program and in community training programs. Creating an environment at the Institute that is more inclusive, increasing the diversity of faculty, staff, and trainees, and deepening the clinical work on the impact of marginalization and racism on the families served. This work is ongoing. “It has been a true privilege to lead this venerable institution the last 12 years and to support the work of some of the most brilliant and innovative professionals in the field of family therapy and mental health. I am immensely proud of my work with the board of directors, a generous community of donors, an incredibly talented faculty, and a committed staff who stepped up boldly to make our accomplishments possible.” Braverman stated. Ms. Braverman’s many publications and international presentations challenge the assumptions implicit in major schools of family therapy about women’s role in the family, in the workplace, and in the psychotherapeutic setting. Her special areas of interest have been women’s friendships and marital relationships, depression and marital dynamics, motherhood and mothering, family therapy with adolescents, and issues of power in family therapy. Currently, her clinical research project is seeing families with a young adult who suffers with serious mental illness. She is founding editor of the Journal of Feminist Family Therapy and author of Women, Feminism and Family Therapy, (The Haworth Press). She was the recipient of the 1994 American Family Therapy Academy’s “Innovative Contribution to Family Therapy Award” and the 2012 University of Iowa, College of Arts and Sciences’ Distinguished Alumni Award. She maintains a private practice specializing in couple and family therapy. Ms. Braverman is expected to remain on the faculty and will continue to work on her clinical research project and her private practice. As a sought-after speaker nationally and internationally, she will able to dedicate more time to public speaking, as well as writing professional articles in the field. Lois Braverman, Ackerman President and CEO is featured in Guernica Magazine in Interrogating the Limits of Trauma Language, a conversation on sexual abuse narratives in art making and storytelling with artist Rowan Renee and filmmaker and feminist scholar Mila Zuo. View the full article on guernicamag.com.